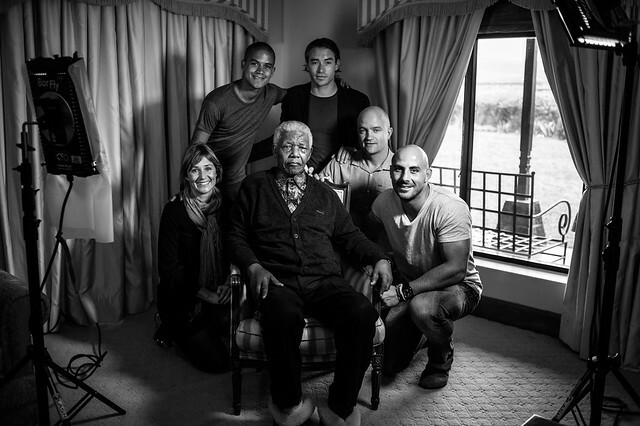 Adrian, one of Africa’s pre-eminent photographers and filmmakers, sat down with Madiba (as he’s affectionately called by South Africans) at his boyhood home in the nation’s Eastern Cape Province. 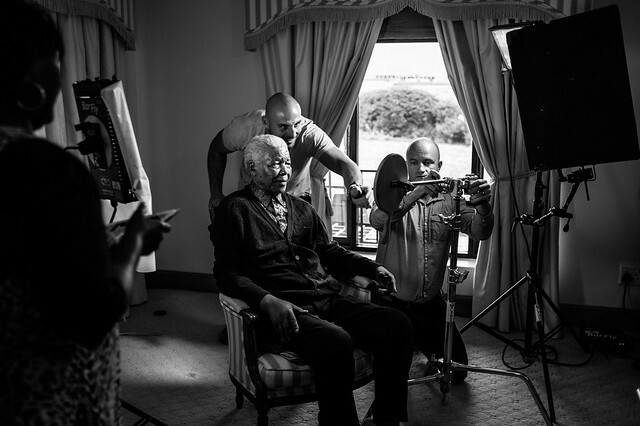 His admiration for Mandela and what the statesman had achieved in uniting the people of South Africa post-democracy, inspired Adrian to create 21 Icons. 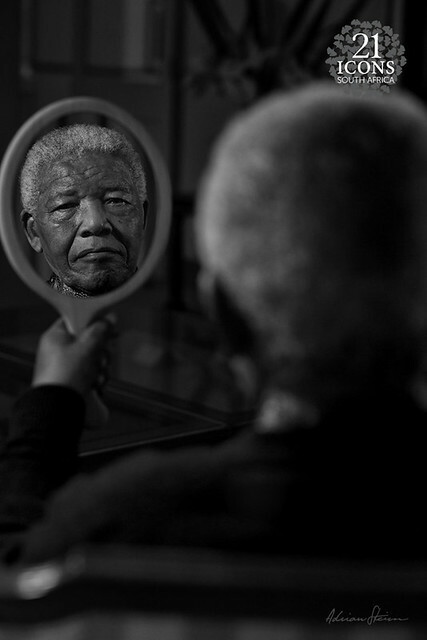 The concept of the portrait depicts Nelson Mandela’s face reflected in a mirror. 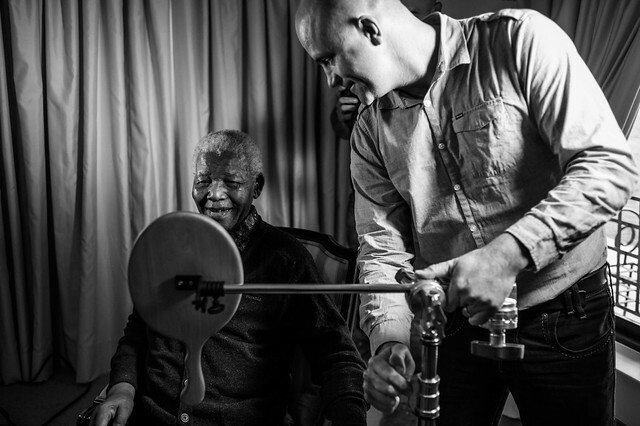 “The theme ‘reflection’ was all about looking at South Africa now, reflecting on where it had come from and the part that Nelson Mandela had played in that process,” Adrian explains. Adrian described the photo shoot as both lighthearted and deeply emotional. 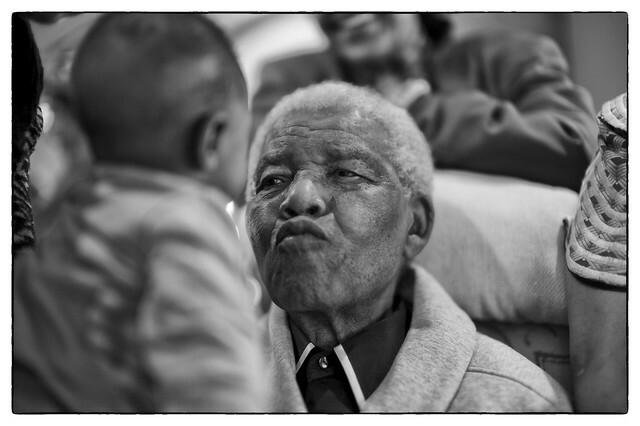 One moment Adrian never forgot is when he showed Mandela several portraits from the project on his iPad. One in particular of F.W. de Klerk struck a cord with the former president. 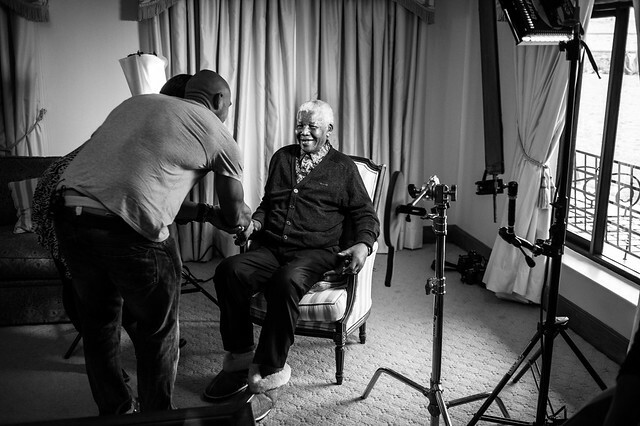 When asked about Nelson Mandela’s legacy — the man who inspired his series — Adrian’s eyes lit up with emotion. Visit Adrian’s photostream and the 21 Icons project to see more of his photography. Also, check out the Nelson Mandela Tribute gallery, featuring photos of sculptures and other dedications in memory of Mandela. 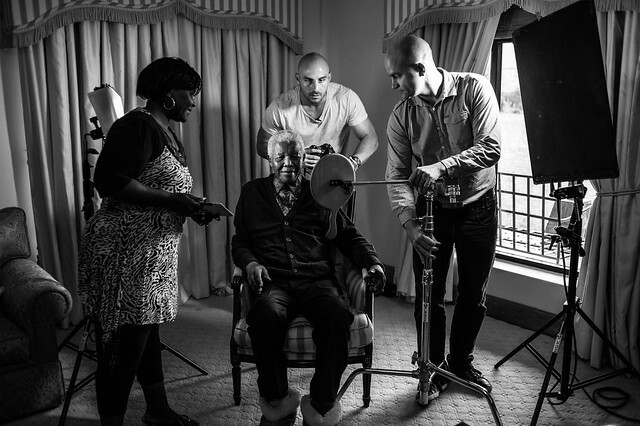 **Update – A photographic portrait of the late Nelson Mandela has been bought by a private art collector in New York for $200,000, the highest price ever paid for a local portrait on Dec. 3. 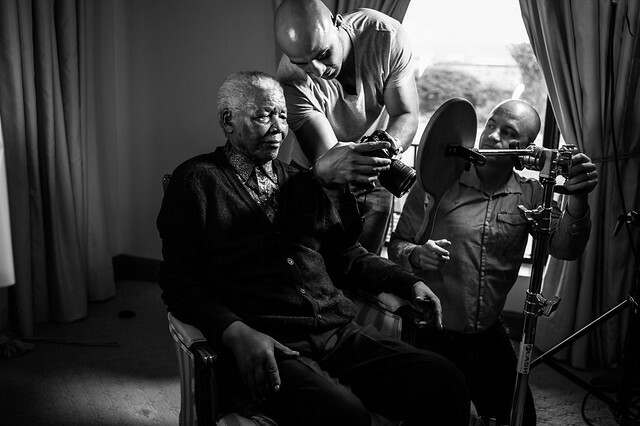 The money will be donated to the Nelson Mandela Children’s Hospital, currently under construction in Johannesburg, and to the World Wildlife Fund. 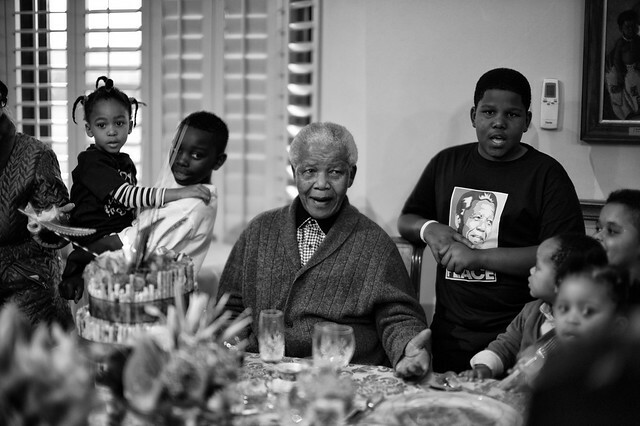 The construction of a children’s hospital has been a long-held dream of Mandela’s, and before he fell ill, he had campaigned for funds for its construction. The state-of-the-art hospital is scheduled to open late in 2014 and will be a 200-bed facility providing world-class pediatric care.